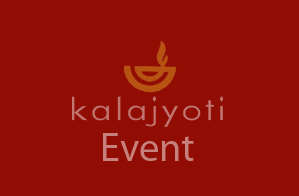 Kalajyoti shares the ancient concept of SANGEET as an amalgamation of DANCE, MUSIC and RHYTHM – hence KALAJYOTI preserves and gives importance to this age-old traditional concept which grooms a real performer. Kalajyoti’s Faculty Members have Dedicated Maestros with National and International fame. 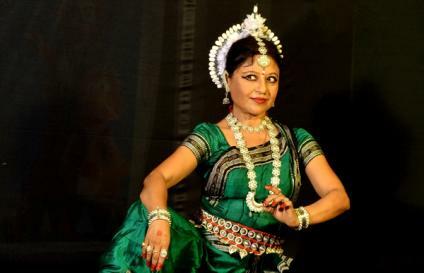 Monalisa Ghosh, one of the leading exponents of Odissi Dance, choreographer and teacher, won her laurels in the chosen classical dance dialect of India at Kala Vikash Kendra, Cuttack in Orissa, where she spent her childhood. Her training began under Guru Ramani Ranjan Jena continued under Guru Raghunath Dutta and gained maturity under the legendary Guru Kelucharan Mahapatra and Smt. Sanjukta Panigrahi. Her merit lies in the deft combination of truthfulness to tradition, which accommodates distinct individuality and inspires audiences across continents and cultures. Her dance has been widely acclaimed for classicism, lyricism and spiritual expression.Monalisa has performed all over India sharing the stage with leading maestros, in prestigious dance festivals and conferences since the year 1983. From 1990 her fame crossed the countries border to make her name familiar to the discerning lovers of Indian Classical dancers in The Netherlands, Germany, Austria, Italy, France, U.S.A., U.K., Tajikistan, Sweden, Denmark, Spain, U.A.E. and Bangladesh. Participated in important festivals all over Europe since last 25 Years. Received wide critical acclaim in print and television Medias. She had conceptualized and conducted a workshop and performance - along with Mr. Aloi Hoffinger , Director, Jugend Stil Theater, Vienna, in collaboration with the Catholic church , a four days seminar emphasizing the need of performing art in enlightening the life of the physically handicapped, finding various methods of amalgamating these art forms in simple manner into daily life. The seminar was held on 27th, 28th, 29th and 30th September, the year 2000. In May 2012 Monalisa Ghosh has been honoured with the position of Artist in Residence by the Korzo Theater, Netherlands. In 2012 and 2013 – she Choreographed and presented the first Indian Style Dance Drama ‘Jatayu Moksh ‘and ‘Promila - the Empowered Woman’ with her Dutch Students at the Famous Indiase Dans Festival, organized by Korzo Theater. In 2014 she was invited to Choreograph Dance Theater ‘Hanuman’ blending Odissi and Contemporary Style jointly with Kalpana Raghuraman and Revanta Sarabhai with the proficient Dancers from all over the World and the tiny Dutch children – which was a huge success. Monalisa Ghosh has initiated and conducted the first Mancha Pravesh of Odissi Dance with the renowned live artist from Odisha, in The Hague. She is a visiting lecturer imparting intensive training – in Vienna, Germany, Abu Dhabi and Dubai – Presenting regular outstanding choreographies with the foreign students. She has performed for all the Indian Embassies in Bangladesh, Netherlands, Austria, Germany, France, Italy, USA, UAE, Qatar, and Tajikistan. She has invented a simple and unique Odissi workshop style for Foreign students, keeping the authenticity, which made her one of the most beloved and successful Teachers abroad. Monalisa is empanelled with the ICCR since 1989 and her Group Kalajyoti since 2005. She is an Examiner of Rabindra Bharati University, a Judge of West Bengal State Music Academy and National Youth Festival, Head of the Department- Odissi Dance, Suranandan Bharati and a National Programme grade artist of Doordarshan.Her Odissi has been telecast several times on National Programme of Dance.She was in the expert committee of Junior Scholarship granted by HRD, Govt of India. Monalisa has been interviewed on Kalajyoti and her progressive work with the foreign students, in spreading Odissi in its pure form abroad, by the leading television Medias- Tara T.V., National Kolkata, ATN World, Alpha Bichitra, Khobor Ekhon, ETV, DD Bangla. As a recognition to her humanitarian contribution in imparting free authentic Odissi dance training to financially handicapped children and promoting awareness in the culturally backward area, since 1996, of Kolkata and backward areas of North Bengal, she has received felicitations from Nrityamanjil – Falakata; and Jalpaiguri Yellow Pages. She has received the title of ‘Nrutyasri’, by Kala Vikash Kendra, Cuttack; ‘Nrityanandan’ from Suranandan Bharati, Kolkata, ‘Singarmani’, by Sur- Singar Samsad, Mumbai ‘Outstanding young person of Calcutta ’99’ by the North Calcutta Jaycees’. National Nrutyashiromoni on 9th January 2013 at The Cuttack Mahotsav.etc. Her Choreographies have received Grants from Ministry Of Culture, Government of India. Her deep and dedicated involvement as a Guru of Kalajyoti have resulted in creating sincere and efficient Odissi Dancers with sensitivity and will surely be the torchbearers!